WMU fires its track and field and cross country coach, after he was placed on administrative leave. MSU opens another fund to help survivors of former sports doctor Larry Nassar. Civil asset forfeiture reform passes the state House. Western Michigan University has fired the school’s track and field coach. In a news release, Athletics Director Kathy Beauregard says Kelly Lycan was dismissed from his position for violating the terms of his contract. MLive reported last week that Lycan was placed on administrative leave. Western officials said they could not comment on a personnel matter. Lycan was named the Broncos’ head coach for women’s cross country and track in 2001. 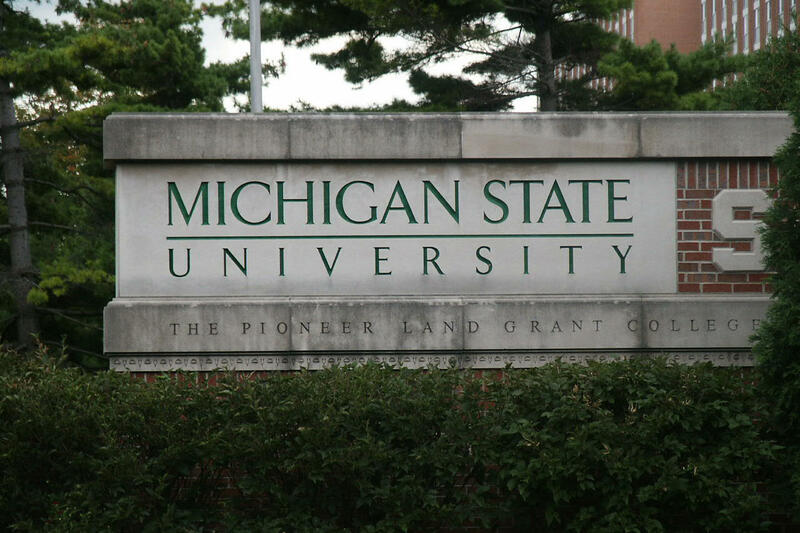 (WKAR) Michigan State University has opened an intermediate healing fund to provide counseling services to survivors of Larry Nassar’s abuse after the original fund was closed at the end of last year. The intermediate healing fund will provide financial assistance to pay for counseling services for survivors who were student athletes, or seen at the university’s health clinic as well as their parents. Investigations by MSU police into fraud that temporarily closed the original healing fund are still ongoing. (Michigan Radio) The state House passed bills Thursday to limit asset forfeiture in drug cases. The House voted to approve bills that restrict the government's ability to take ownership of property worth less than 50-thousand dollars unless there is a conviction. Supporters of the bills say no one should lose their property unless they have been convicted of a crime. Opponents of the bills say drug dealers shouldn't be allowed to profit from illegal activity. (WCMU) A new project at the University of Michigan could help ships avoiding getting stuck in ice on the Great Lakes. It would add more detailed ice forecasts to weather reports. A spokesman for the Lake Carriers Association says that would help ship captains get a better idea about lake conditions before they leave port. He also says the project could help the Coast Guard have icebreakers ready before they’re needed.